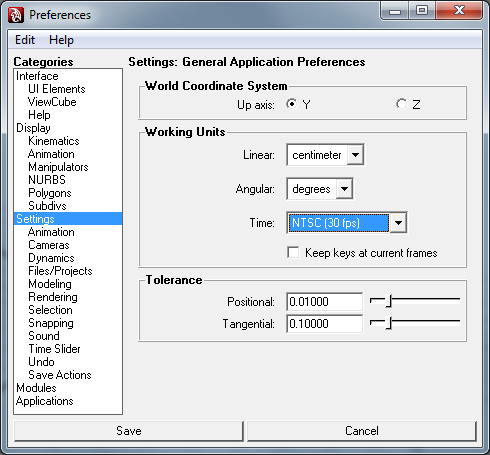 This page gives instructions for setting up Autodesk Maya. For Autodesk 3ds Max, see Setting up 3ds Max. We recommend following the video tutorials first: Art Video Tutorials. The current version of the art pipeline in the cloud supports the previous 3 versions of Maya. Please make sure you've run the Art Depot Installer from your account page. There should be a maya.env file in this directory. Open it in a text editor. Alternatively, you can also use the getenv MAYA_APP_DIR; mel command in the mel script editor to see where your env file is. If you have multiple versions of Maya, go into the version of Maya you are setting this up for. Copy the lines of code below and paste them into the Maya.env file. Note: If you need multiple paths to run your own custom scripts from different locations, then add the paths to the end with a ; between the path names without any spaces. In the example code, "C:\HeroEngine\ArtDepot\..." was used, however, if you didn't use the art depot installer, or if your team is using a networked or shared art depot, your root path can be different. Network paths are acceptable here as well for one central location of the tools. Maya loads scripts at startup from a userSetup.mel file. Maya will only run the first userSetup.mel that it finds, so if you already have a userSetup.mel file specified you will need to copy the code from your userSetup.mel file to the one provided in the art pipeline. If you have not already setup a userSetup.mel file for other scripts or plugins, you can skip this step. 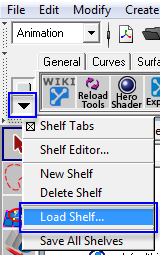 The last thing is to Start Maya and then load the HeroTools shelf. Note: Other Linear working units can be used, however Hero Tools such as the SRB Tools and Asset Tools are written for centimeter.